I'm not really sure what to call this. 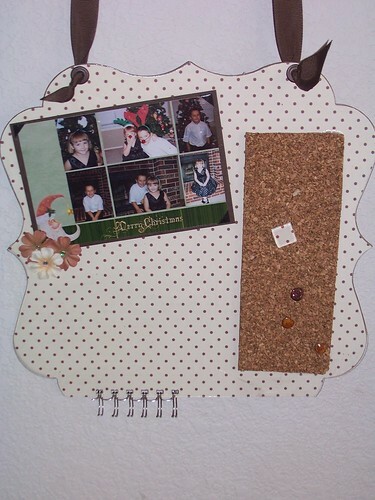 It's sort of a memo board, sort of an organizational center. All around it's cute and functional. The big open area is for using a dry erase marker. The top layer (under the cork) is acrylic so you can dry erase to your heart's desire. The bind it all wires are for keys and the really great thing is the top layer is not glued down so you can lift the acrylic and swap out the picture at the top. I decorated my own push pins to match.